With the countdown clock ticking down to Sunday's Ian Hodgson Mountain Relay, Fell Running Briefs spent a couple days on the course monitoring how well the bogs were drying out and analysing the trail of stud marks for the tell tale signs of Ambleside international Ben Abdelnoor's short cuts. The unseasonal weather was ordered in advance and it felt more Cote D'Azur than Coat 'at and Gloves. 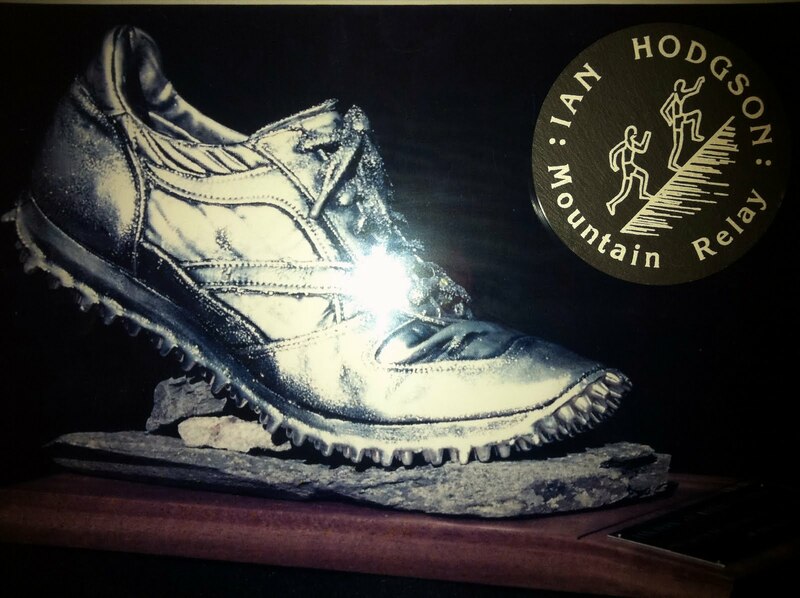 The relay was first run on 5 October 1986 in memory of Ian Hodgson of Leeds who was killed in a motor accident shortly after winning the Score class in the Karrimor Mountain Marathon (the forerunner of today's OMM or Original Mountain Marathon) the year before. The Karrimor in October 1985 was based from Patterdale. This year the race starts in Patterdale village at the King George V playing fields. The relay usually starts and finishes from Sykeside Campsite at Brotherswater but due to the bad weather we had in the early part of September the campsite proved unusable. With no entry list published the teams won't find out how stiff the competition is until Sunday morning. Last year Pudsey and Bramley were in the driving seat and looked set to win due to a navigational error by Borrowdale in the first leg, putting them seven minutes down, this gap was slowly closed by the rest of the team and finally overhauled on the final descent by Ben Bardsley and Morgan Donnelly. This year should prove to be just as exciting with top teams turning out from Borrowdale, Ambleside, Calder Valley, Dark Peak and no doubt Pudsey and Bramley and Bingley too. We'll be on the course bringing you the news as soon as we can!